Top ten: As we prepare to greet 2015, it's a good time to ask, What worked best at this year's box office?" Looking back at 2014's Top Ten grossing films in domestic theatres, it's clear that once again what resonated most with moviegoers was familiarity. Franchise episodes driven by comic books or young adult novels and films inspired by popular toys did best in 2014. 3D was another valuable common denominator with nine of the Top Ten being released in that format. It also helped to open in the spring or summer months. Seven of the year's Top Ten arrived between early May and late August. And it definitely was best to be PG-13 rated – eight of the Top Ten were PG-13 and two were PG.Sci-fi/fantasy action adventures accounted for eight of the hits. And expertly orchestrated spare-no-expense marketing was the icing on the cake across the board. Here's a quick rundown of the year's Top Ten ticket sellers with some thoughts about why they performed so well. 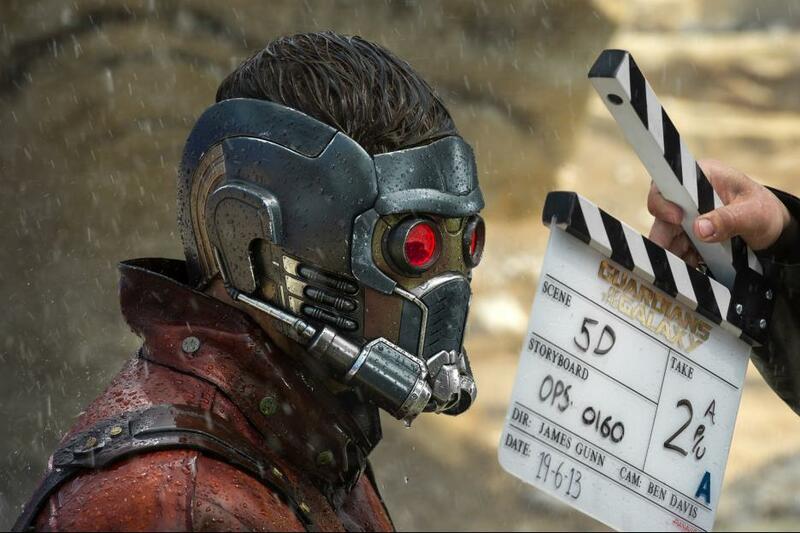 2014's Number One grossing movie was Marvel Studios and Disney's PG-13 rated 3D sci-fi action adventure "Guardians of the Galaxy," which turned typically sleepy early August into summer prime time at the multiplexes. "Guardians" opened Aug. 1 to $94.3 million and went on to gross $332.7 million domestically. While it followed in the footsteps of earlier Marvel blockbuster franchises like "Iron Man," "Thor," "Captain America" and "The Avengers," there was a huge difference in that "Guardians" takes place in space rather than on earth. Marvel made the most of that difference in marketing "Guardians" to the studio's legions of comic book movie fans, calling it, "an action-packed, epic space adventure (that) expands the Marvel Cinematic Universe into the cosmos." Directed by James Gunn ("Slither"), "Galaxy" boasted an in-depth ensemble cast -- including Chris Pratt ("Zero Dark Thirty,""Moneyball"), Zoe Saldana ("Avatar"), Dave Bautista ("Riddick"), Vin Diesel ("Fast and Furious") and Bradley Cooper ("American Hustle"). The film's out-of-this-world success was surprising because "Guardians" wasn't based on a top tier Marvel comic book title the way, for instance, the "Spider-Man" franchise was. In fact, it was an unfamiliar lower tier Marvel comic book that worked brilliantly well in spite of its roots. It's the exception to the idea that success today hinges on familiarity. Created by Arnold Drake and Gene Colan, the Guardians were introduced in 1969 as a team of31st century heroes, each of whom was the last of its kind. What Marvel really liked was that they weren't heroes, but outlaws and misfits who met in prison. Although they're selfish and self-interested, when the galaxy’s fate is at stake, they unite to save it. It was material that enabled Marvel to explore another side of its universe while maintaining the scope, action, humor and sense of high stakes the studio had already established with its blockbuster "Avengers" franchise. The year's second highest grossing film, Lionsgate and Color Force's PG-13 sci-fi adventure "The Hunger Games: Mockingjay -- Part 1,"was definitely not a surprise success, After opening Nov. 21 to $122.9 million, it's grossed $306.7 million through last weekend in 3,174 theatres. It's 2014's only Top Ten grossing film that wasn't released in 3D. 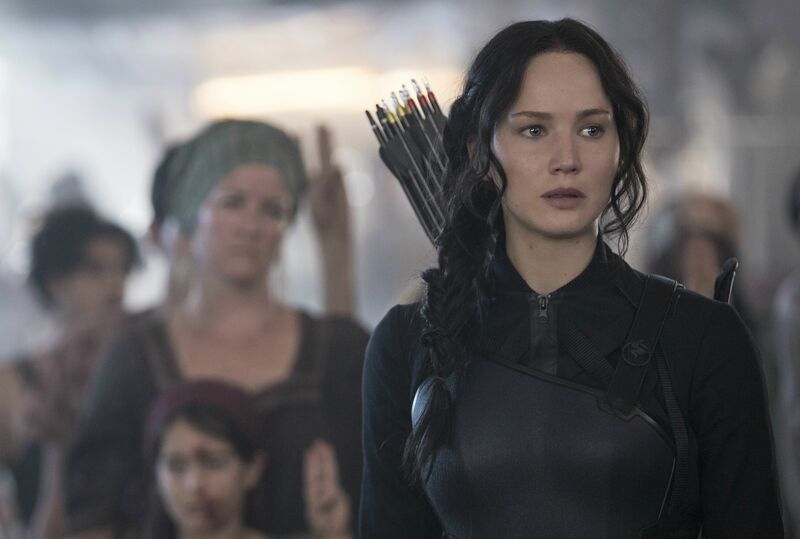 Thanks to the first two "Hunger Games" episodes, which grossed a total of $832.7 million in domestic theatres, a huge built-in audience was waiting for "M1,"the first half of the franchise's conclusion. Another key factor in "M1's" success is Collins' trilogy of young adult novels, which sold over 65 million copies in just the U.S.
"M1" director Francis Lawrence also helmed the 2013 episode "The Hunger Games: Catching Fire" and is directing "The Hunger Games: Mockingjay -- Part 2,"which opens Nov. 20, 2015. "M1's" ensemble cast includes: Jennifer Lawrence (Katniss Everdeen), Josh Hutcherson (Peeta Mellark), Liam Hemsworth (Gale Hawthorne), Woody Harrelson (Haymitch Abernathy), Elizabeth Banks (Effie Trinket), Julianne Moore (President Coin), Philip Seymour Hoffman (Plutarch Heavensbee) and Donald Sutherland (President Snow). Third place on the 2014 chart goes to Disney and Marvel Studios' PG-13 rated 3D sci-fi action adventure "Captain America: The Winter Soldier." After opening Apr. 4 to $95 million, it ended up grossing $259.8 million domestically. Directed by Anthony Russo & Joe Russo ("You, Me and Dupree"), it stars Chris Evans, Samuel L. Jackson and Scarlett Johansson. The franchise's first episode, "Captain America: The First Avenger," opened via Paramount July 22, 2011 to $65.1 million and did $176.7 million domestically. A key to the sequel out-grossing its original was opening it in April where it could be a really big fish in a smaller spring pond than one of many very large fish in the much larger summer pond. With less competition in April than in July, "Soldier" marched off with more ticket sales. Warner Bros. and Village Road show Pictures' 3D animated PG action comedy "The Lego Movie" hawed surprising strength and finished fourth for the year. Although "Lego" was inspired by the wildly popular building blocks, the movie was an original in a genre where franchises typically rule. Nonetheless, it opened Feb. 7 to $69.1 million and finished with a hefty $257.8 million. Directed by Phil Lord and Chris Miller ("Cloudy With a Chance of Meatballs"),its voice stars include Chris Pratt, Elizabeth Banks and Will Arnett. Lord and Miller had previously launched a hit family franchise with their 3D animated "Meatballs," which opened via Columbia Pictures Sept. 18, 2009 to $30.3 million and grossed $124.9 million domestically. It helped that "Lego's" second weekend in theatres was the four day Presidents Day weekend. Holiday weekends send parents scrambling to find ways to keep young kids occupied and a movie like "Lego" is just what they need. Needless to say, Lego is a brand name parents know from their own childhood and were happy to revisit now with the movie. Because many kids play with Legos, they were able to relate immediately to the film. Another toy inspired movie, Paramount and Hasbro's PG-13 rated 3D sci-fi action adventure episode "Transformers: Age of Extinction,"was the year's number five film. It opened June 27 to $100 million and went on to do $245.4 million. "Age" was flying high as the summer's top moneymaker until "Guardians" exploded in August, rewriting the stats for the summer and then for the full year. Directed by Michael Bay, who directed the franchise's first three episodes, "Age" stars Mark Whalberg, Nicola Peltz and Jack Reynor. Paramount had great timing with "Age" since its June 27 launch date meant that its second weekend in theatres was July Fourth weekend. Some of July Fourth's box office firepower was lost this year because the holiday fell on a Friday, which is normally one of the strongest movie going days of the week. Nonetheless, it was still helpful to have some holiday box office bump to keep "Age's" momentum going. In this case, familiarity was part of the equation for success. The franchise's previous episode, "Transformers: Dark of the Moon," opened June 29, 2011 via Paramount and DreamWorks to $97.9 million and went on to gross $352.4 million domestically. "Transformers: Revenge of the Fallen" arrived June 24, 2009 via Paramount and DreamWorks to $109 million and did $402.1 million domestically. The first "Transformers" episode hit theatres July 3, 2007 via Paramount and DreamWorks with $70.5 million and ended up doing $319.2 million domestically. Memorial Day weekend was one of the factors that helped the year's sixth ranking film, Walt Disney Pictures and Roth Films' PG rated 3D action adventure "Maleficent," get off to a strong start. "Maleficent" opened May 30 to $69.4 million for three days and $75.6 million for four days. It wound up doing $241.4 million domestically. Directed by first time feature director Robert Stromberg, it stars Angelina Jolie, Elle Fanning and Sharito Copley in the untold story of "Sleeping Beauty's" iconic villain. Although its storyline included familiar fairy tale characters, "Maleficent" does stand out on the list of 2014 box office winners as original material. Another film that made the most of Memorial Day weekend movie going was the year's seventh top grossing title, 20th Century Fox and Marvel Entertainment's PG-13 rated 3D fantasy action adventure "X-Men: Days of Future Past." "Past" arrived in theatres May 23 to $90.8 million, making Memorial Day its second weekend of release. It ended up grossing $233.9 million domestically. Directed by Bryan Singer ("X-Men," "X-Men 2"), "Days" stars Patrick Stewart, Ian McKellen and Hugh Jackman. "Past" definitely falls into the familiar category, benefiting from its franchise roots. The series' previous episode, "X-Men: First Class," opened June 3, 2011 to $55.1 million and did $146.4 million domestically. All told, the franchise's seven titles have grossed $1.3 billion domestically. The year's eighth biggest hit was 20th Century Fox and Chernin Entertainment's 3D sci-fi action thriller "Dawn of the Planet of the Apes," which opened July 11 to $72.6 million and ended up doing $208.5 million. Directed by Matt Reeves ("Let Me In"), it stars Gary Oldman, Keri Russell and Andy Serkis. Here, too, familiarity helped breed success. The last episode, the series' reboot "Rise of the Planet of the Apes," opened Aug. 5, 2011 to $54.8 million and went on to gross $176.8 million in domestic theatres. The eight titles since the franchise began in 1968 have grossed $647.1 million in domestic theatres. Number nine for the year was Columbia and Marvel's PG-13 rated 3D fantasy action adventure "The Amazing Spider-Man 2,"which launched the early summer season May 2. After opening to $91.6 million, Spidey went on to gross $202.9 million domestically. Directed by Marc Webb ("The Amazing Spider-Man"),it stars Andrew Garfield, Emma Stone and Jamie Foxx. Familiarity helped make a difference in this case, as well. The last episode, the series' reboot "The Amazing Spider-Man," opened July 3, 2012 to $62 million and ended up doing $262 million in domestic theatres. The franchise's five titles to date have grossed $1.6 billion in domestic theatres. Rounding out the 2014 Top Ten was Warner Bros. and Legendary Pictures' PG-13 rated 3D sci-fi action adventure "Godzilla," which opened May 16 to $93.2 million and finished with $200.7 million domestically. Directed by Gareth Edwards ("Monsters"), this new take on the classic movie monster stars Aaron Taylor-Johnson, Ken Watanabe, Elizabeth Olsen, Juliette Binoche and Sally Hawkins. "Godzilla" is another example of why having familiar roots pays off. While the film isn't a franchise episode, it followed the successful earlier release by Sony of "Godzilla," which opened May 20, 1998 to $44 million and ended up doing $136.3 million. Bottom line: Making 2014's Top Ten box office list had a lot to do with having familiar roots, 3D and sci-fi/fantasy action adventure storylines.